Below you fill find all funeral homes and cemeteries in or near Mabel. Mabel is also known as: Fillmore County / Mabel city. Zip codes in the city: 55954. Fillmore County funeral flowers can be purchased from one of the local funeral shops we partner with. Some of the notable people born here have been: (douglas k. amdahl). Mabel is a city in Fillmore County, Minnesota, United States. The population was 780 at the 2010 census.According to the United States Census Bureau, the city has a total area of 0.5 square miles (1.3 km2), all of it land. It was disclosed by Orange County Register on February 15th, 2018 that Maynard Gabrielson died in Laguna Niguel, California. 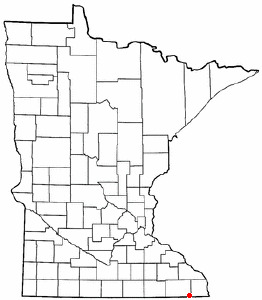 Gabrielson was 95 years old and was born in Mabel, MN. Send flowers to express your sorrow and honor Maynard's life. It was written on May 30th, 2017 that Irene G Gulrud perished in Mabel, Minnesota. Gulrud was 85 years old. Send flowers to express your sorrow and honor Irene G's life. It was disclosed by Waterloo/Cedar Falls Courier on February 19th, 2017 that Martha Rude died in Mabel, Minnesota. Rude was 81 years old. Send flowers to express your sorrow and honor Martha's life. It was revealed on May 5th, 2016 that Arvilla A Allen died in Mabel, Minnesota. Allen was 100 years old. Send flowers to share your condolences and honor Arvilla A's life. It was reported by Waterloo/Cedar Falls Courier on April 22nd, 2016 that Frances Schnitzler passed away in Mabel, Minnesota. Schnitzler was 81 years old. Send flowers to express your sympathy and honor Frances's life. It was revealed on March 3rd, 2014 that Howard Johnson perished in Mabel, Minnesota. Johnson was 85 years old. Send flowers to share your condolences and honor Howard's life. It was disclosed on December 13th, 2013 that Charles Tollefsrud perished in Mabel, Minnesota. Tollefsrud was 92 years old. Send flowers to express your sorrow and honor Charles's life. It was reported by Casper Star Tribune on July 12th, 2011 that Everett Herman Overby passed on in Casper, Wyoming. Overby was 92 years old and was born in Mabel, MN. Send flowers to share your condolences and honor Everett Herman's life. The population was 766 at the 2000 census. Mabel is a city in Fillmore County, Minnesota County, Minnesota, United States. . . .
Mengis Funeral Home in Mabel Minnesota. Tim Mengis mortician. Mabel Funeral planning made easy! Learn how to pre-plan your funeral in Mabel, Minnesota, including step-by-step directions. We work with local florists and flower shops to offer same day delivery. You will find budget sympathy flowers in Mabel here. Our funeral flowers are cheap in price but not in value.